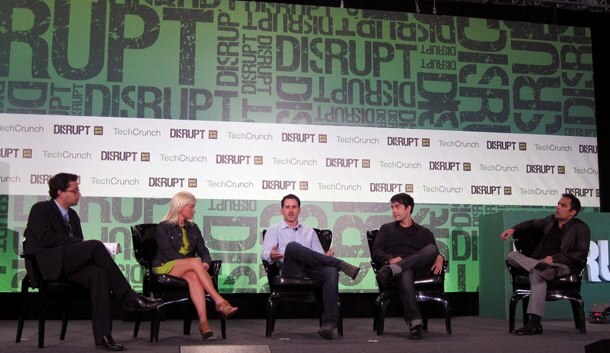 Today, TechCrunch editor Erick Schonfeld sat down with Moat’s Mike Walrath, Facebook’s ad chief Carolyn Everson, Medialets’ Eric Litman and RadiumOne’s Gurbaksh Chahal to address the disruptions in display advertising on social and mobile platforms. On the panel, Everson revealed some interesting information about where advertising on Facebook is heading, particularly with brands. Likes of course are a huge opportunity for Facebook when it comes to advertising. Everson says that there are currently 50 million likes per day for pages on Facebook, which is out of a billion or more likes per day across the web. Everson says that founder and CEO Mark Zuckerberg thinks advertising has to be as compelling as sharing a status update or sharing a photo. The social network recently launched sponsored stories, which turns status updates, Likes, checkins and application activity on Facebook into advertisement for a brand. Everson says that the more progressive brands are starting to adopt this ad format, but of course display ads still reign supreme on the network. “We’re one percent done on our ad products,” says Everson. That’s an impressive outlook, considering that Facebook is minting money from advertising currently. It’s hard to imagine that a company making billions on advertising thinks that they have only touched a small percentage of a market. Clearly, there will be more to come from Facebook on the advertising front.